Our family autism journey is approaching three years this May when Kellan has his third birthday. I was asked last month by the Marcus Autism Center and Autism Speaks Walk Georgia to be an Ambassador and social influencer to any families, sponsors and media that have questions about the 12th annual event on Sunday, May 1st at Turner Field. 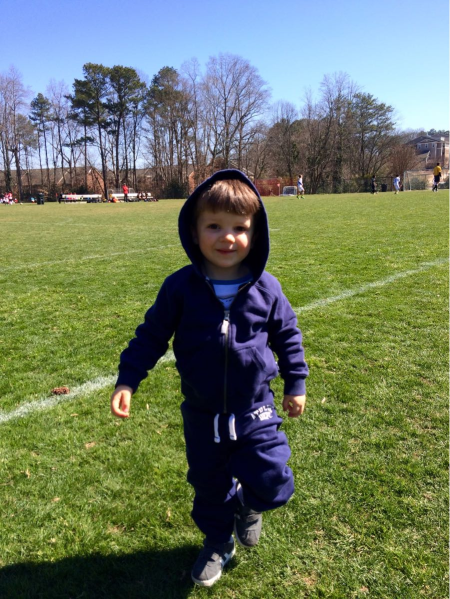 If you are wondering why you or why the community should support the Autism Speaks GA, read on about our son Kellan, someone like the millions touched by ASD worldwide that need your continued financial support. Facing hardship and struggle because of ASD is no easy task financially or emotionally at first or anywhere along the path. Knowing many other parents and guardians of kids on the spectrum at the walk have similar stories truly helps bring the community together for an epic cause. 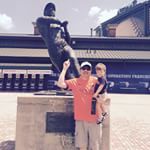 As Founder and Curator of the Sports Techie community blog and Father of a child diagnosed with autism, I am honored to companion Kellan on his daily walk through life and happy to help get the digital word out thanks to technology about this important #AutismSpeaksGA fund raising effort necessary to raise funds for ASD research and awareness. Please support our 2016 Autism Speaks Walk Georgia team, visit my page on the event website and register or donate today at Kellan’s Krusaders. Reflecting back on the early days, Kellan was testing fine for his first 18-months as a baby when his Mother, Jessica and I noticed he was not talking like he used to and was having other complicated issues such as bending over as if he was always tired along with skin problems. Comparing video clips of his regression got us into action mode and immediately to his pediatrician. The CHOA doctor gave us a take home test for Kellan on verbal comprehension. His score was low for his age and we were then referred to a top neurologist. He next tested to have enough red flags to be autistic with possible speech delay and sensory processing disorder. Finally, another study at Marcus confined the diagnoses after a few more days of intense testing. Kellan has made tremendous strides thanks to early diagnosis and intervention by Marcus followed by immersive daily therapy in the Language and Learning Clinic. Our first stroke of luck was qualifying for the Early Social Interaction (ESI) study where a Marcus specialist came to our house and filmed our interactions with Kellan and each other while sharing feedback and training using the Florida State University model. It felt like a reality show at first being followed around by a camera but the further we got into the study, the more Jess, myself and our immediate family began to realize what we did not know about ASD and what was next for fellow families such as hearing tests, GI testing and sleep issues. Ground-breaking research and various programs at Marcus are helped by the $1.8 million in donations from Autism Speaks Walk GA solicited by 275,000 supporters since 2004. The CDC here in Atlanta says, “about 1 in 68 children has been identified with autism spectrum disorder (ASD) according to estimates from CDC’s Autism and Developmental Disabilities Monitoring (ADDM) Network. Last year was our first Autism Speaks Walk. It was a hot day for spring time and gathered together were thousands of fellow attendee’s ready to trek the 1.75 mile course around the Atlantic Station neighborhood. Kellan did not walk very much but we had the Bob (stroller and me) ready to assist. I liked checking out the assortment of event vendors including a vast variety of ASD-centric booths and wellness information, professional sports teams in the Atlanta Hawks and Braves, local radio, and plenty of interactive booths and free swag giveaways to help turn a kids frown into a smile because he or she recognizes the spirit of the day for a moment. Last year we also attended the Autism Speaks Georgia Aquarium day with many eager kids and adults loving the fish, whales and dolphins displays and shows especially the conveyor belt with a whale shark swimming overhead. This is our second Autism Speaks event at Turner Field. Last year we had the privilege to attend a Braves home game and walk around the entire infield and outfield before the match-up against the Florida Marlins with hundreds of families supporting ASD fund raising efforts by Autism Speaks GA. We took photos of Kellan near the dugouts and on the warning track as well as a picture with the statue of MLB legend, All-Star and Baseball Hall of Fame member, Hank Aaron, near the ballpark entrance. Last year we had the privilege to attend a Braves home game and walk around the entire infield and outfield before the match-up against the Florida Marlins with hundreds of families supporting ASD fund raising efforts by Autism Speaks GA. This May 1 at the Turner Field Green Lot, the Autism Speaks Walk Georgia begins at 9:30 am, registration starts at 8 am. Each walker that raises a minimum of $150 before or on Walk day earns a free Commemorative Autism Speaks Walk t-shirt. If you raise $1,000, you’ve earned membership into the Grand Club. All families are welcome to participate in children’s activities at Turner Field, engage with resource fair businesses especially selected for the autism community and once again enjoy engaging with sponsors and partners like the Braves, Hawks and Zoo Atlanta, and the super fun Game Truck. At times the line between ASD and the mood of a typical two-year old blurs, which is a good thing because it means flapping, picky eating and flailing on the floor when he does not get the iPad are what kids do, special needs or not. Other times it is clear his ASD presents unique challenges that only an experienced tribe can raise. At Marcus, I have made dozens of friends since Kellan began there, including, parents, staff and children. Cheryl is a new friend at Marcus and cares for her Great Grandson, Cameron. She is also an Ambassador for the event with me. The ASD community has game-changing allies in Marcus, CHOA and Autism Speaks. 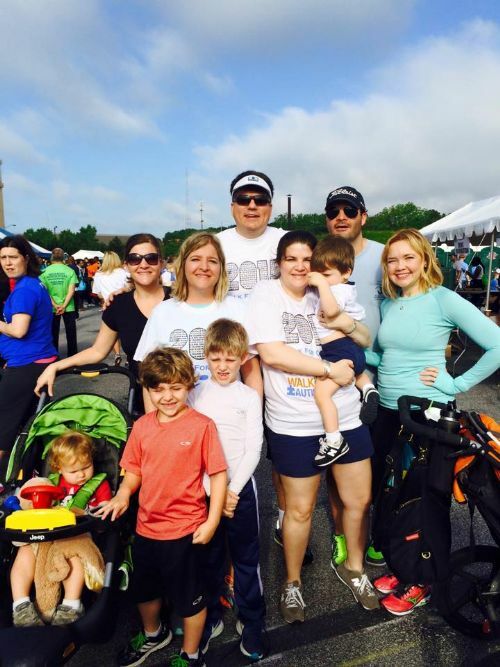 Support the Autism Speaks Walk GA Donation Page of Kellan’s Krusaders. Sports Techie, it has been a blessing to have the support of Marcus Autism Center and CHOA, plus family, friends and kind strangers during meltdowns, sickness, anxiety, and communication struggles. What Jess and I are learning from ABA therapy and ASD programs is how to help bring out the best from Kellan so ultimately he can communicate effectively, deal with daily social pressures and make friends. If you did not know, approximately 81 percent of ASD adults are living with their parents according to Autism Speaks data. I believe that number will stay steady for a while because even though more housing is being made available, so too are the number of kids and adults diagnosed with ASD. Eventually, because of institutions such as Marcus and CHOA and charity, that number will start to decrease the other way over time as more kids get help combined with the impact of added governmental ASD housing support. Donald Trump was asked what he thought about autism during a GOP debate, he said, “It’s an epidemic.” While I do not support him in any way, I do appreciate his ASD awareness. Remember to please donate and support Kellan’s Krusaders, and we’ll see you May 1 at Turner Field for Autism Speaks Walk Georgia!